After the settlement of Hope River is destroyed, fleeing residents deliver news of a devastating attack by the Mad Russian. Guide three pioneers as they gather resources, overcome natural disasters and plot a course to uncover the location of the elusive Copperhead Gang. 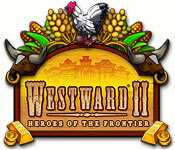 Customize your towns with more than 30 luxury items and upgrades while staking your claim in Westward II: Heroes of the Frontier! Finally! Between answering your questions and playing as fast as I could, I've finally managed to cobble together a game guide! 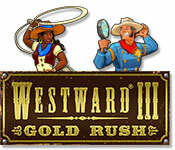 Westward 3 has been released so we've started a guide. Post your questions in the forums so we can attempt to research the answers. And as for all you experts, place your quest walkthroughs in the forums so we can benefit from your wisdom! When the patriarchal owner of the Turner Railroad Company goes missing, his children, Anne and Henry, are called upon to uncover the truth behind his disappearance! 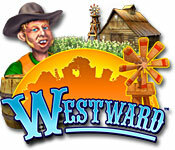 Protect the family business from greedy bandits as you help the Turners expand their railway to neighboring towns. 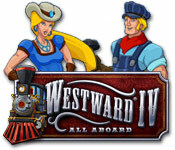 Rescue kidnapped citizens being held for exorbitant ransoms, battle greedy bandits, and guide your town to fortune and prosperity in Westward IV: All Aboard! We're excited to post our latest feature, an interview with Daniel Bernstein (CEO/Founder) and Alex Arnot (Lead Designer) at Sandlot about Westward 4! Oh thank goodness… Finals are over and I’m headed home! My flight is tomorrow back to Jersey. I hear they are getting some serious snow back east. I hope it doesn’t mess with my flight, because there is no way I’m spending the holidays here by myself. Most everyone has already gone home for the holidays, so the dorms are pretty quiet. When two young spoiled heirs to the throne are banished from the comforts of their royal realm, they are tasked with traveling to three neighboring kingdoms, restoring their greatness, and demonstrating to their father, the king, that they are the rightful heirs to the throne. Help Prince Fenwick and Princess Catherine roam the countryside as they seek the guidance of friendly Kings, Countesses, Dukes, and loyal subjects in Westward Kingdoms! 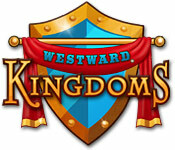 Welcome to another in the series of Westward games, Westward Kingdoms. In a departure from the usual Wild West location, Westward Kingdoms puts you into a kingdom where you are the Prince or Princess trying to prove to your father, the King, that you are worthy of becoming the next ruler. You will progress through 3 different kingdoms where you will help out the ruler of that area plus discover that you have to rescue your father from a Dark Wizard. In the process, you will use your Villagers to build up the kingdom and keep everyone fed. The Soldiers will help you fight off Barbarians, Giants, Dark Knights, and the like. Your Wizard will provide important wizardly magic in your quest. In addition, to completing the game in general, there is a long list of challenging trophies to obtain (if you are into that).